As their names imply, Google's Home devices are designed with the intention of keeping them inside, but they're not always as portable as we’d like them to be. Since the company doesn't provide a way to use the units without plugging them into a wall outlet, third-party manufacturers have seized the opportunity to release battery bases. 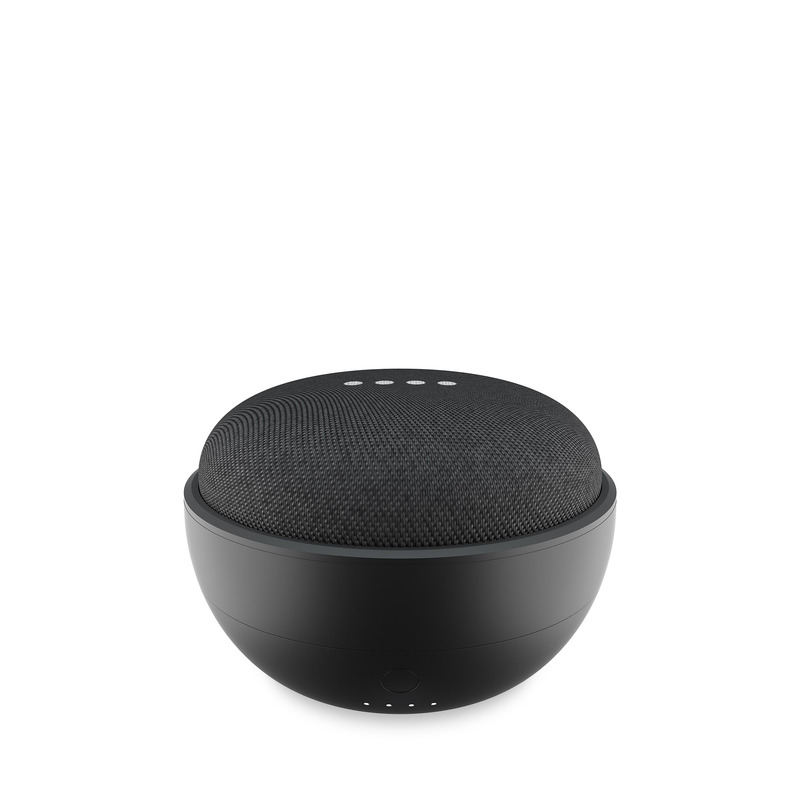 Ninety7 has just added the JOT to its line of solutions for smart speakers. Last year, we reviewed Ninety7's LOFT battery base for Google Home and, while the hardware was solid, we questioned the need for it–the added bulk and constant recharging seemed to be a bit much. At the time, the Mini's price was even cheaper, so for portability, we recommended simply buying another Google unit. Now the Mini costs as much as the LOFT and some customers understandably demand a battery-powered option for those times they aren’t near an outlet, such as grilling outdoors. Ninety7 estimates the battery life at eight hours. When it's time to recharge, simply connect Google's power supply to the base. The new JOT comes in carbon and silver flavors and is already available on Ninety7's website for $34.95 in the U.S. The company said it will soon be available on Amazon as well. 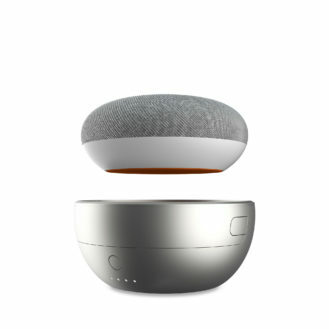 (Chicago, IL) - October 9, 2018 – With the Google Home Mini in homes and offices across the country, there is now a way to make the popular Google smart Assistant portable and cord-free. 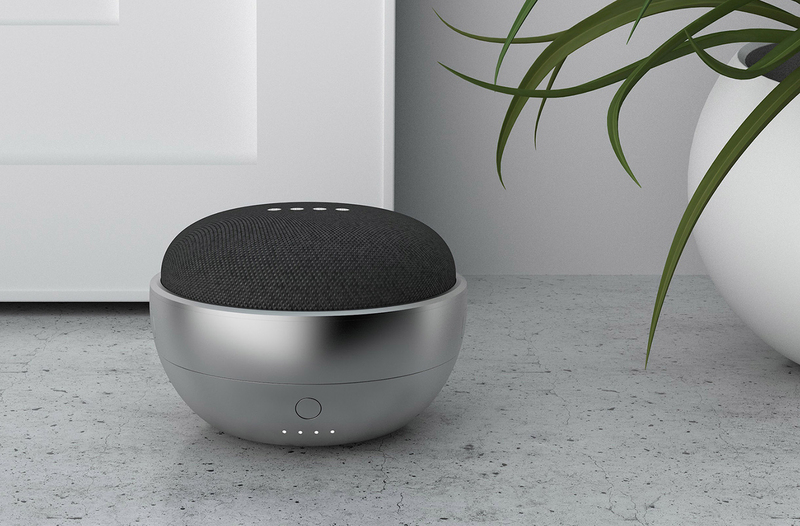 Ninety7, a technology lifestyle company known for its smart home accessories, today announced JOT, a cordless battery solution that offers additional functionality and control to the Google Home Mini. With JOT, cordless portability has never been so compact. JOT is available at Ninety7.com and will be available on Amazon.com in the coming days for $34.95. Ninety7 is launching a line of products that will bear the Made for Google program badge, indicating those products have been designed by Ninety7 for use with the Google Home Mini and have been certified to meet Google’s compatibility standards.